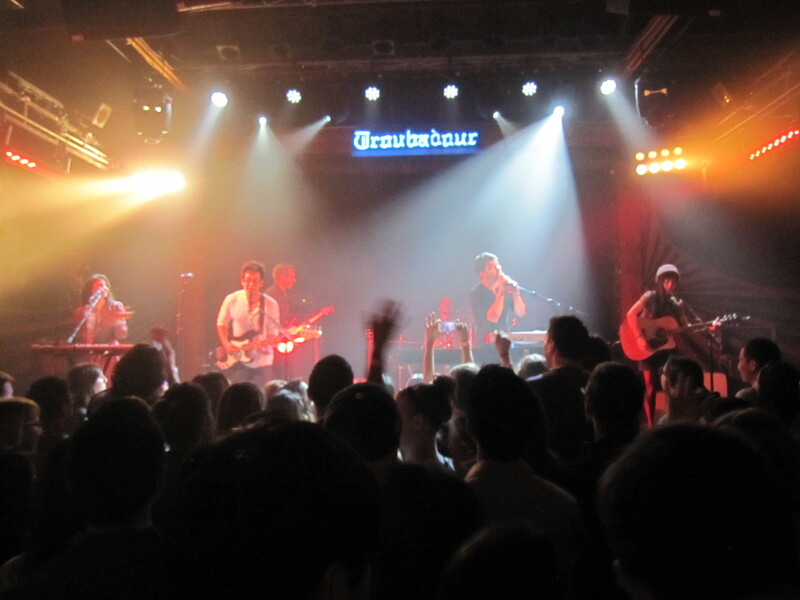 Valentine’s Day may have still been a couple days away, but on Tuesday, February 12th, 2013, the Troubadour was as packed as it has ever been and the members of Hunter Hunted must have surely felt the love. As they stepped onto the stage to begin testing their equipment, the crowd, already abuzz with anticipation, cheered boisterously. The show sold out in early February, and if there was any question about whether or not the many attendees had followed frontmen Dan Chang and Michael Garner since their days singing in UCLA’s Awaken A Capella ensemble, they would have been swiftly put to rest when a portion of the audience started chanting the Bruins Fight Song. 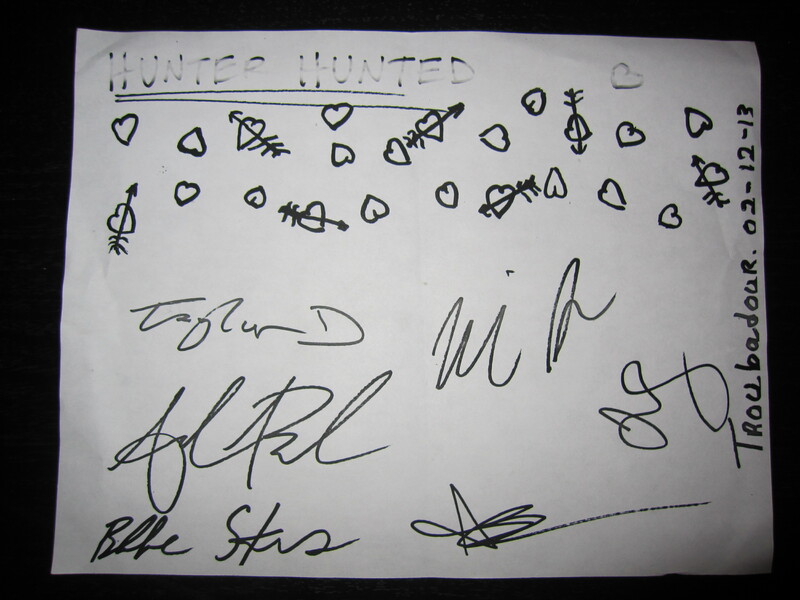 Hunter Hunted formed in late 2012, when Chang and Garner’s former band, Lady Danville, dissolved after the departure of third member, Matthew Frankel. Out of respect to their previous collaboration, Chang and Garner chose a new name for their duo, which features friends and fellow musicians Drea Babinsky (of Miracle Days), Alina Cutrano (of Body Parts), Taylor Dexter (of Body Parts), and Blake Straus, and continues to play favorites from their previous musical incarnation. 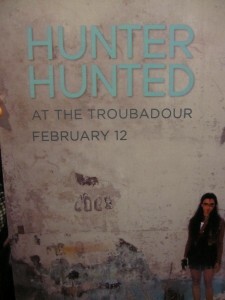 While Lady Danville had quite a run including tours with bands Ben Folds and Dashboard Confessional, Hunter Hunted seems to have hit the ground running and is only gaining momentum. 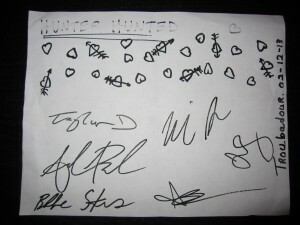 Their first EP is set for release on March 4th, simultaneous to the start of the band’s month-long Monday night residency at The Bootleg Theatre in Los Angeles, and a full-length album is in the works for a release in the fall of 2013. 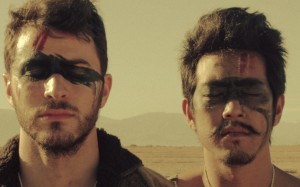 Hunter Hunted’s sound retains the layered vocal harmonies and dreamy, atmospheric quality, but the expansion of the band increases the music’s energy and takes it on a decidedly more dance-inspired turn. A cinematic base, infused with elements of surf rock, classic 1950s-style pop, and folky punk, creates a sound that is Weezer meets The Shins with a side of MGMT. The musicians beamed and played off of each other throughout their 8-song set, which began with “Operating”, a piece that introduces their signature style of a gentle lead in, only to be catapulted into a crescendo of rolling drums and galloping guitar sequences. The band’s genuine enjoyment of being able to share their music was apparent and Chang was the most ebullient as he rocked out repeatedly, always with a wide, child-like smile on his face. 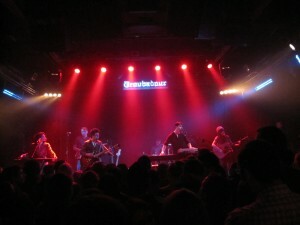 Garner, along with the rest of the band, was slightly more contained, but no less enthusiastic. Their sincere performance style and plentiful segments of harmonized oooh’s and aaah’s impart a sense of wholesome optimism and the warm, uplifting feeling of an endless summer of camping, bonfires, and carefree adventures. The crowd clapped and danced along throughout the set and the energy of the room hit a fever pitch as they played the KCRW hits, “End of the World” and, their final song of the evening, “Keep Together”. 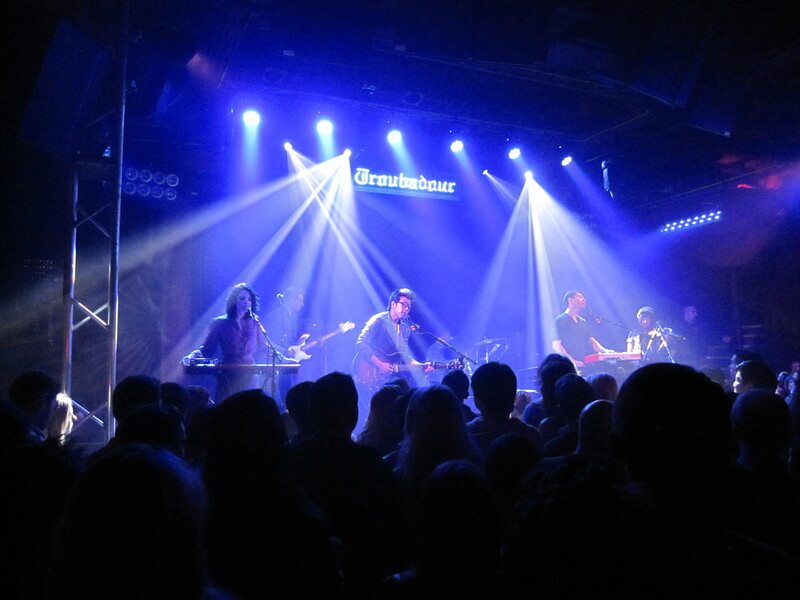 Before leaving the stage, Chang thanked the crowd earnestly and it was easy to see how a band that only found its name a matter of months ago was able to generate so much love at the Troubadour on a Tuesday night.